Exactly one year and one day ago, I posted my first official @inahalfshellblog Instagram. Since then, I've accumulated a pretty unique collection of oyster photos and an equally awesome set of IG fans. To celebrate the start of prime oyster season (yay September! ), I wanted to revisit some of my favorite shellfies over the last year. Umm, what is a Shellfie? I personally have to be holding the oyster. No hand doubles here. Sadly, this knocks a great shot out of consideration. The photo has to tell a story. Preferably with an interesting background, like at the oyster farm or in space. Taken with a cameraphone (in my case, iPhone 5S) and ideally posted real-time...no Throwback Shellfies unless if it's Thursday. #1 A freshly shucked WiAnno oyster right out of Barnstable, MA. The water was so clear that you could see right to the sandy bottom. #2 During a fascinating blind taste test of Ireland's top oyster-growing regions just before Galway Oyster & Seafood Festival. #3 Examining the rare Point Reyes Virginica at Waterbar in SF. #4 Enjoying a plump Kusshi oyster with some creme fraiche and caviar at Oyster Nosh. #5 Shucking Hog Island Sweetwaters by the pool during Napafest. 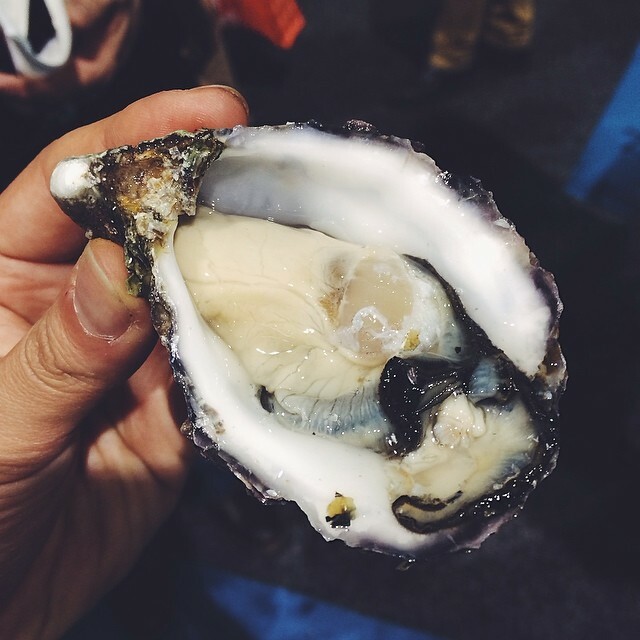 #6 Showing off an exceptional specimen of Coromandel during an in-office oyster tasting. #7 Enjoying Maine oysters at Eventide Oyster Co. in Portland, ME. #8 Trying my first Kumiai oyster from Baja, Mexico at the Seafood Expo in Boston. #9 One of the many amazing oysters that I had during my Asia Oyster Tour. #10 A beautiful Maine belon from Shuckeasy during Oyster Week. 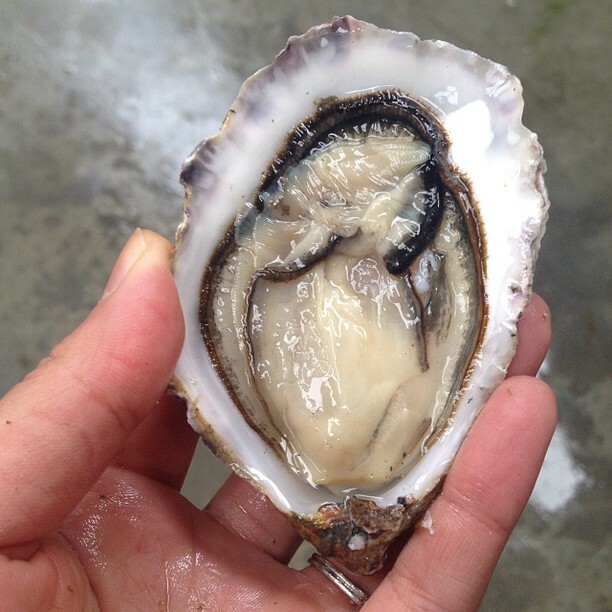 #11 Blown away by this ultra plump Moyasta oyster from Ireland. #12 Slurping a premium Kelly Galway native against the sunset over Galway Bay = pure happiness. 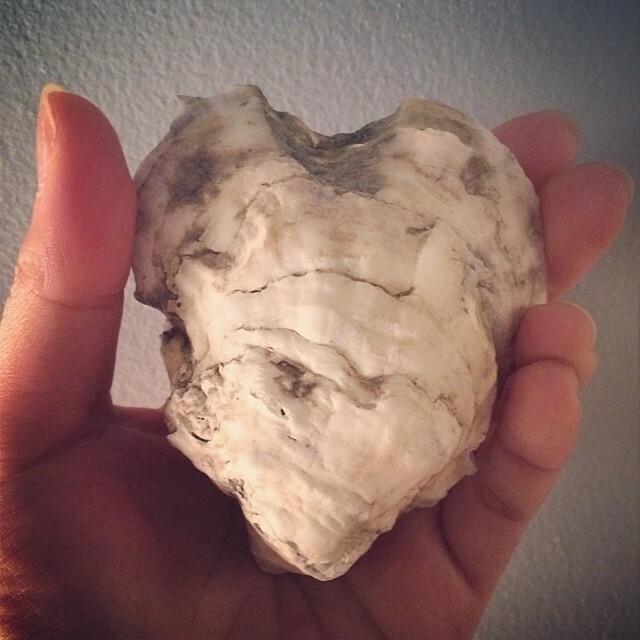 #13 Holding a remarkable heart-shaped oyster shell, gifted to me by Broadwater Oyster Co.
#14 Shucking a Hog Island Kumamoto at the farm in Tomales Bay brought my oyster adventure full circle. #15 Trying a Sentan oyster at the Kanawa Suisan Co. oyster farm off the coast of Hiroshima, Japan. #16 Pretty pleased with my shucking job on this monstrous Pleasure House Oyster. Show Me Your Best Shellfies! Have an awesome shellfie to share? Tag your Instagram photos with #shellfie and #inahalfshell. 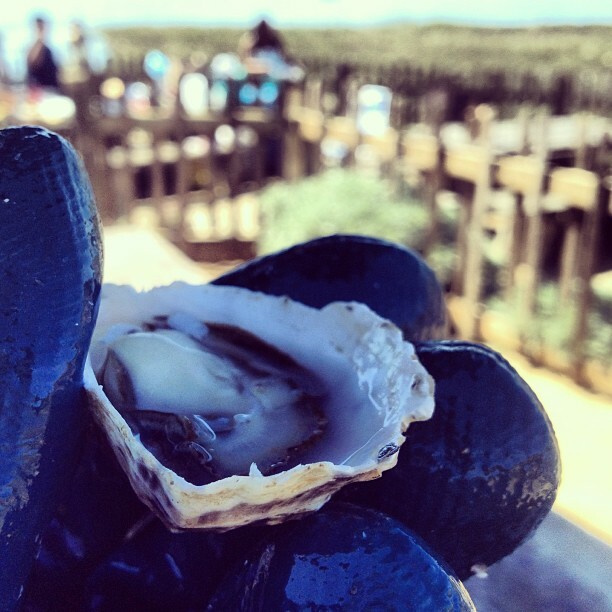 Follow me on Instagram if you want more oyster shellfie updates!